Incorporated in 1959, A & E has the experience needed to get your project completed, from invention to production and delivery. A & E started as a tool and die business, making stamping dies for various manufacturing companies in the automotive and housing industries. 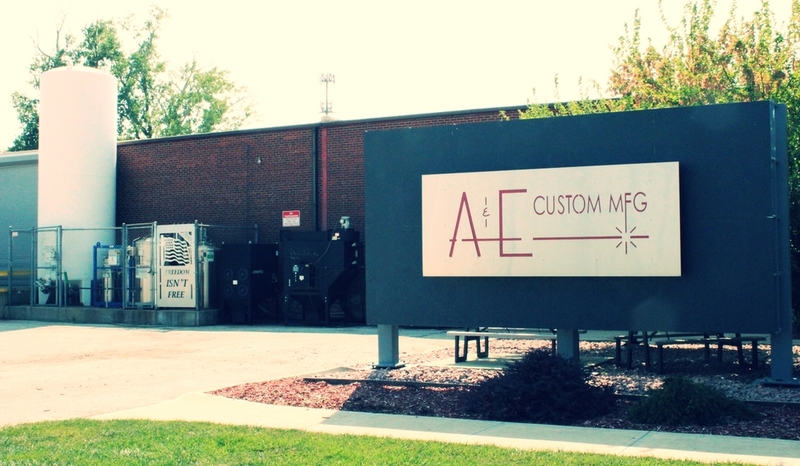 In the 1980's, A & E expanded its operations with the purchase of our first stamping press. The tooling that the shop was making for someone else now had the capability of being used in-house on presses owned and operated by A & E.
In the 1990's, the market trend had American manufacturing moving overseas for cheaper labor and lower cost. Through this necessity to stay competitive in a global market, A & E purchased their first laser and press brake, reinventing itself as a full-service metal fabrication facility. Over the years, A & E has been on the front lines of meeting customer needs by investing in technology. Through our innovation, we have been successful in re-shoring parts and production that had been lost to overseas competition. With A & E's experience and long track record of meeting our customer's needs, you can be assured that we can help meet the challenges that are faced on a daily basis with quality, delivery, and value for your money.